We produce high-end full-color business cards at an affordable price, with an extremely rapid turn-around time. 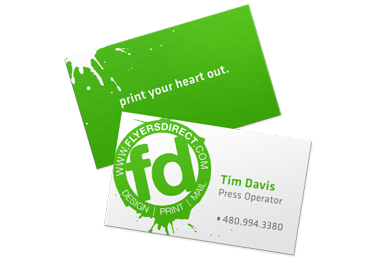 Printing is done on durable 14-point card stock (C2S) with high-gloss U.V. coating on the front side.